Policy makers and technicians from various government entities are learning new ways to deploy energy management solutions which require zero investment. The training which began on November 8 until the 9th, is being conducted by Judith Ephraim and Roland Schrwoerer from the Organisation of Eastern Caribbean States (OECS) Commission. Hon. Minister of Energy Paul Lewis said this training from the OECS came at an opportune time as it lines up with Montserrat’s new energy policy. In February 2016, Cabinet approved the Energy Policy 2016-2030 which calls for the island to be on 100% renewable energy. There is also a mandate to for a 30% reduction in energy intensity by 2030, Lewis said. 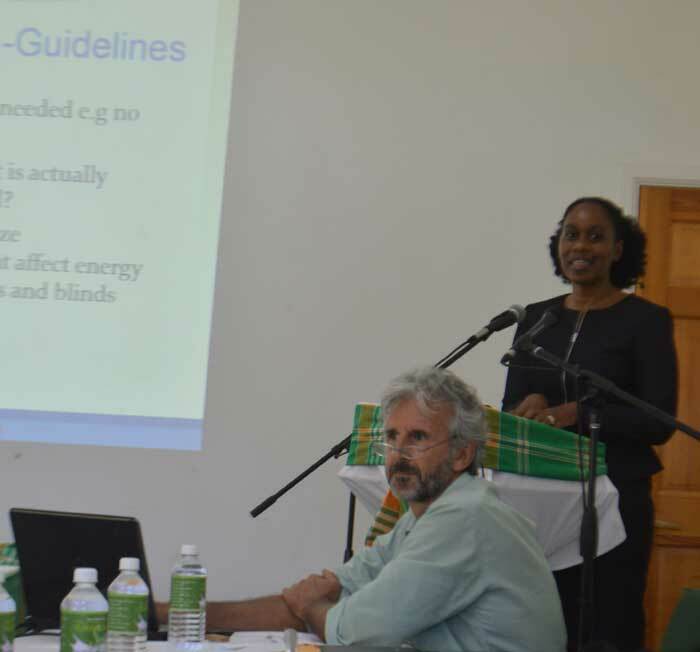 Ephraim said Montserrat’s energy policy showed that they took the matter seriously. she told the attendees on Tuesday that there is a dual energy challenge. 1) Providing energy to fuel sustainable economic growth and 2) reducing the contribution to climate change. Although Montserrat is one of the smallest contributors to climate change, like many other small island states the effects will cause damage to fragile ecosystems and industry. Over the two days, participants who represent the utility company, public works, housing, and planning are learning ways that energy consumption can be reduced and also managed without major investment. Minister Lewis says the implementation of the ideas can begin immediately however, a more comprehensive strategy on energy management will be developed and deployed under the new programme EDF 11 by mid 2017.